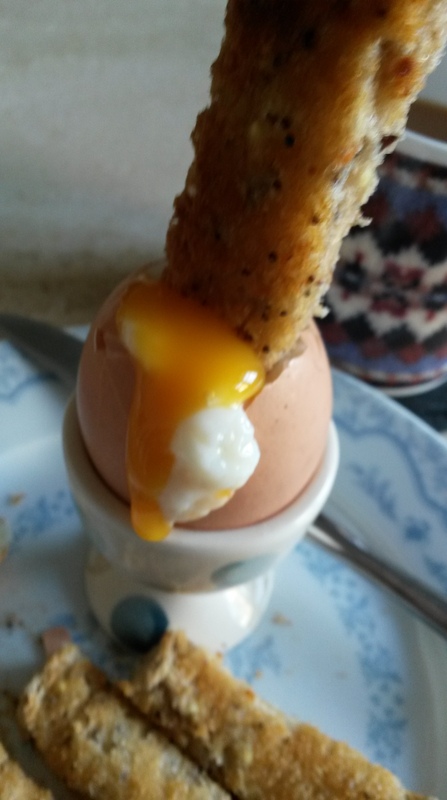 A boiled egg and soldiers. 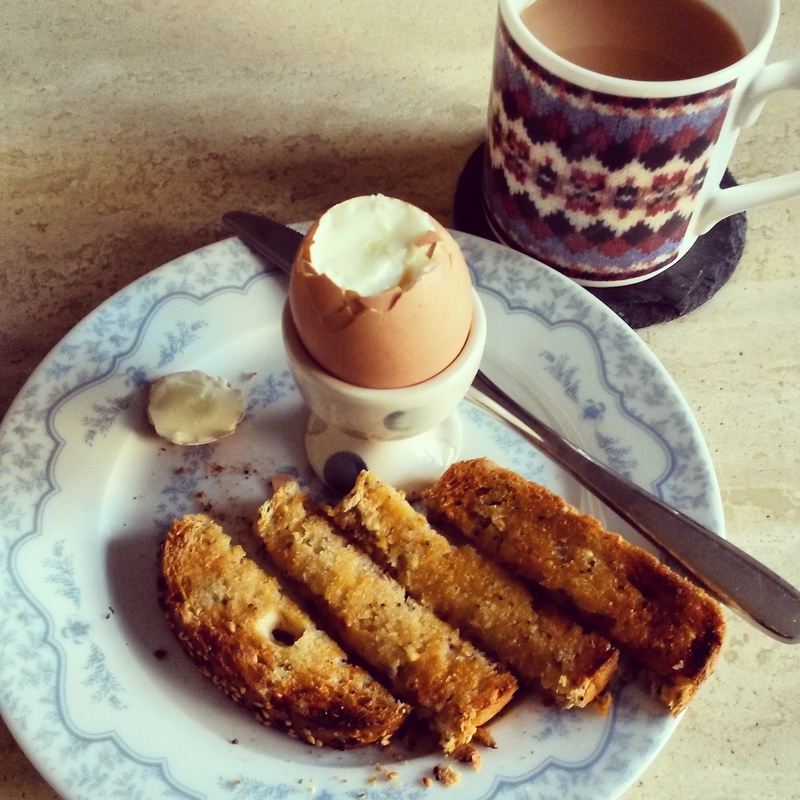 Is there a simpler breakfast pleasure? 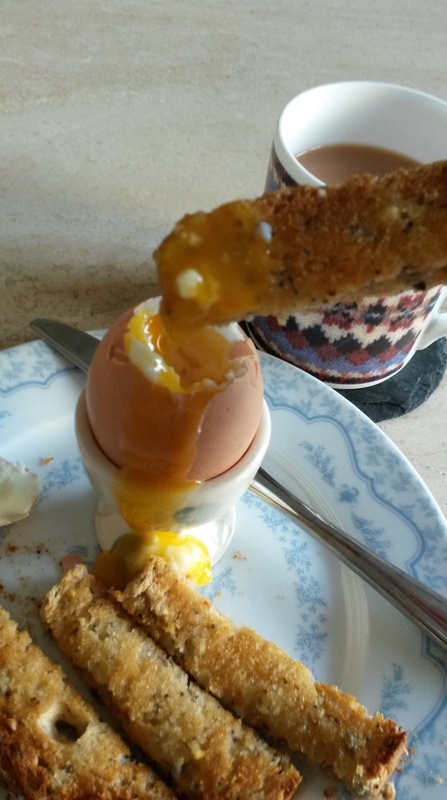 Of course this task involves perfecting a delicious, runny, soft boiled egg. For large eggs I find 5 minutes on the dot does the trick, and the key is not to add the egg to the water until it is boiling, then start your timer. 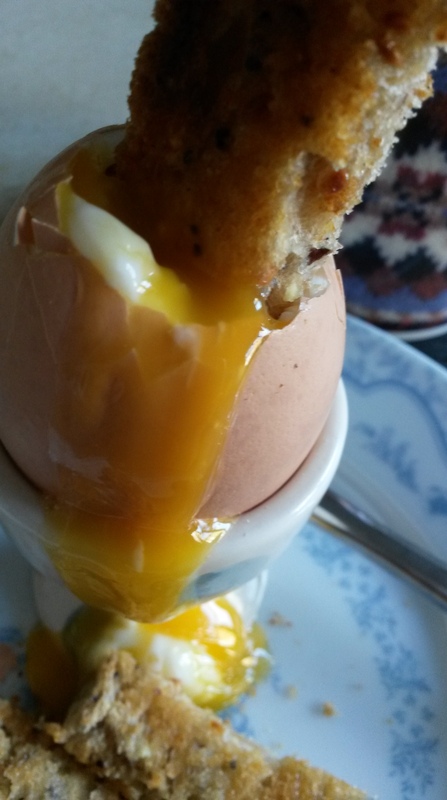 That is today’s morning egg-spiration. How do you like yours?